White picket fence and a family...with that man? Yeah, right. 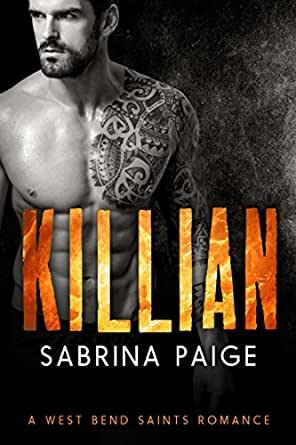 Killian Saint is wild and untamed, gruff and solitary, an arrogant loner from a family that people in West Bend say is no good. I should know better. A man like Killian should have no part of my life, not with a kid to raise and a bakery to run. Not even if the way his hands feel, rough against my skin, sets every part of my body on fire. Not even if the dirty things he whispers into my ear leave me so on edge I can’t think about anything but his lips on mine. Everything about Killian is wrong. The problem is, nothing has ever felt so right. In life, I make my own rules. Rule #1? No wife and definitely no kids. A woman like Lily Grant? Hell, no. She talks too much and has too many damn opinions. And that kid of hers might be more of a smart-mouth than she is. I should walk away. But once I taste her sweet lips, I want to possess every inch of her. This woman is mine – even if she doesn't know it. 5.0 out of 5 starsOh Brothers !! 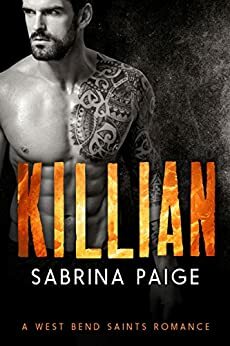 Killian is one HOT Lumbersexual happy to hang out in his mountain home, fish and generally avoid people that is until he crashed in to Lilly bathing him in coffee. Maybe being around people isn't so bad. Wow... What a great book to finish the series... I loved Killian and Lily together and Chloe was so great too. It had me laughing a lot. The banter between these two was amazing. killian is such a hard rugged, hottie on the outside, but a marshmellow on the inside. He was definately the stand out brother for me! 4.0 out of 5 starsKillian.by Sabrina Paige. Four stories all about four hot brothers and the women they all fall in love with. The small town they all return to and t h e sheriff who has always had it in for them. I loved this story. I loved reading all the brothers stories. You fall in love with them all and just want to read, and read, and read. Great story.